Say Hello! 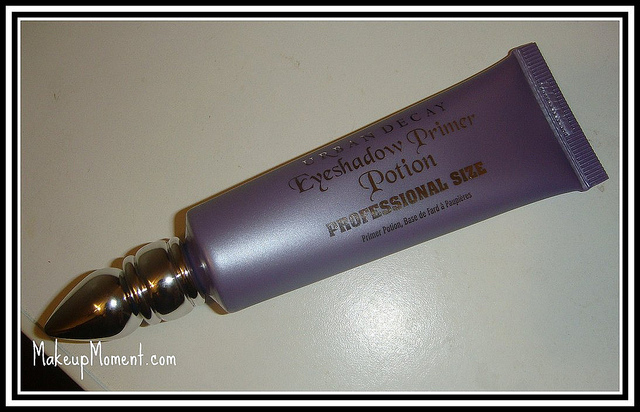 to the Urban Decay Eyeshadow Primer Potion Professional Size! Yes! Our cries and pleas have been heard (they have been heard for awhile know and it is just now that I am getting to it? Silly me!). Urban Decay has finally packaged their famous primer potion in a squeeze tube. Not only that, but they super sized the thing as well! This big mama is 0.85 oz. as opposed to the original sized Urban Decay Primer Potion that is only 0.34 oz. 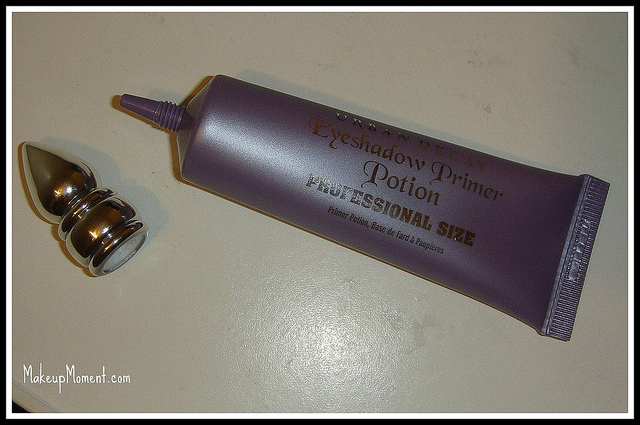 I love this Urban Decay Eyeshadow Primer Potion Professional Size ($29.00). It sure is a refreshing to know that one does not have to deal with the original tube/wand ordeal. The whole slicing the tube in half thing just to get the product out was not my cup of tea. But no more will I worry about that thanks to this super size tube version. Bummer that it is limited edition :( But I am sure this tube will last me a long time seeing as I only need a tiny amount to apply to my oily lids to help my shadows stay in place all day. And what a lovely job this primer does indeed! I want to note that I purchased this primer potion at my local Sephora store about 2 weeks ago and there were many primers in stock. Now that I am looking at the Sephora website, I don't seem to spot this jumbo size primer potion on the site anymore. Yikes! I don't know if it's gone for good, or what? I also checked the Urban Decay website and this item is listed on the site, and is in stock. I guess it was limited edition in Sephora stores, but it is a permanent item on the Urban Decay website (correct me if I am wrong). This is one makeup product that has a cult following, and surely one I can NEVER be without. What do you all think of Urban Decay Primer Potion? Do you love it as much as I do? Let me know in the comments! Disclaimer: I am not affiliated with any of the companies mentioned above. I purchased this product for my personal use only. I actually looked at this at my local sephora, they had one left, but I passed on it. I bought the too faced shadow insurance and ended up returning it because it was a watery, runny mess. I think I am going to finish off all the UDPP that I have for now, and then go out and buy this.I love the packaging though! The packaging is to die for! So convenient and mess free :) I'm sorry to hear that yo had no luck with the Too Faced Shadow Insurance. I never tried it myself, but I don't know, it just doesn't appeal to me much. I have a feeling that if I tried it, it may not work on me and my oily lids. I will just stick with what works-and that's Urban Decay Primer Potion :) Stay tuned because I have a post coming up in where I will be reviewing the E.L.F eyelid primer. Have you tried it?